Home Articles 2008 Wither CME? 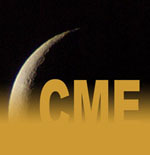 Last year (2007), the pharmaceutical industry provided $1.19 billion to sponsor CME programs ($1.44 billion if you include advertising and exhibits at CME events). That’s about 60% of all sources of funding for CME reported by ACCME. Congress continues to examine pharma industry support of CME and ACCME has issued some new guidance for accredited CME providers. This article examines the current state of industry support for CME and what reforms may be coming down the pike.